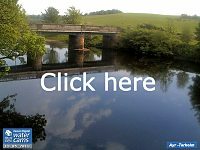 ART looked at the Bogend Burn again this week as water quality and sediment released from this burn has been of concern to the biologists and anglers for some time. ART have highlighted the impact this causes to anglers at times in the past when their fishing has been ruined by the dirty water emerging from this tributary. They have previously identified that the burn is under producing. It is heavily silted as a result of unrestricted livestock access and erosion in places that leads to enrichment and poor water quality. 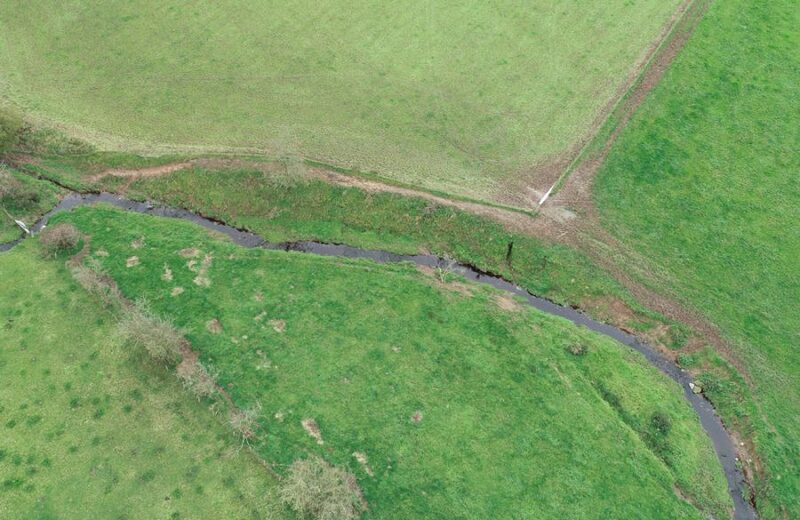 These issues may be addressed by fencing or changing agricultural practices that lead to bank instability and erosion. SEPA has no power to force fencing to be erected and must therefore work with farmers and landowners to reduce impacts in whatever other ways are possible. 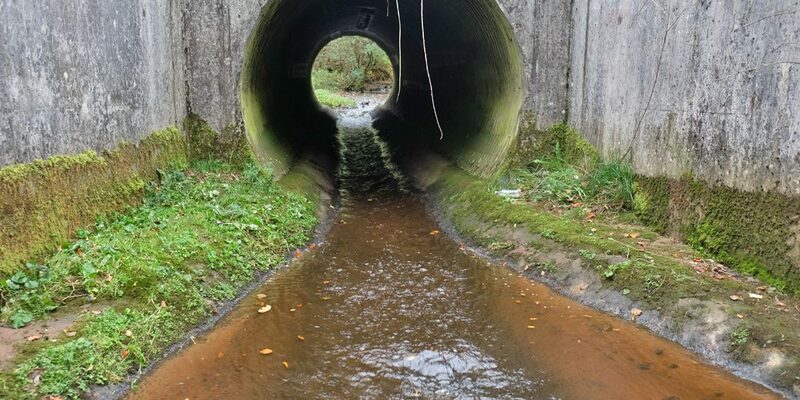 SEPA has been working on this area recently following several reports of unacceptable levels of pollution from anglers and ART in an effort to reduce diffuse pollution through farm improvements under the General Binding Rules that apply to agriculture. 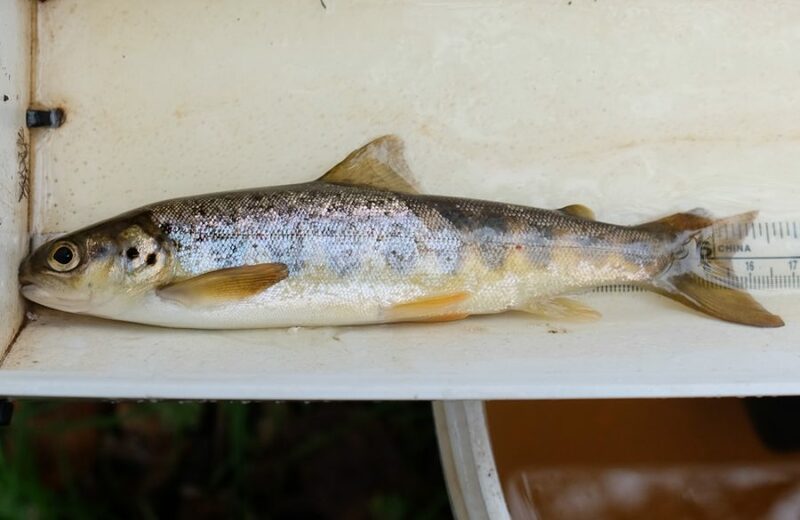 The Board welcome that as this as diffuse pollution is limiting fish production on the burn and downstream on the Ayr. Things appear to be improving in the last few months and we all welcome this. Ideally, this burn should produce a good number of salmon and trout smolts annually and that’s what our ultimate aim has to be. 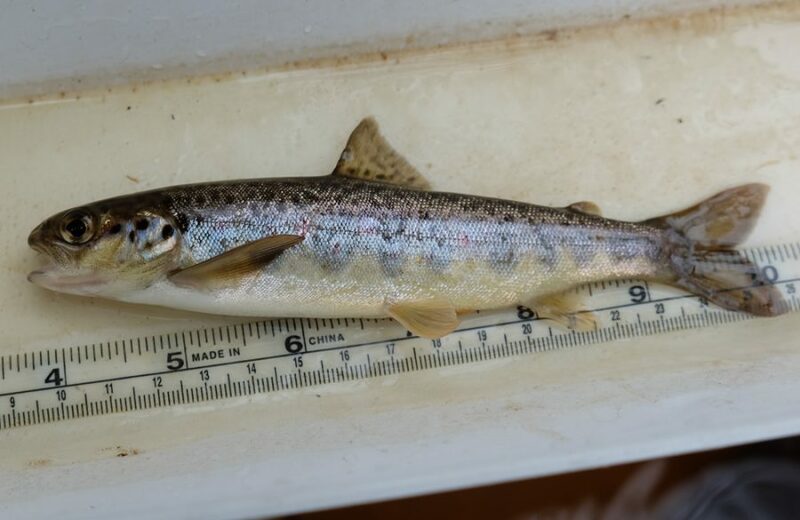 The DSFB is constituted to protect and enhance salmonid stocks after all. Diffuse pollution is not the only issue on this burn and the culvert in the lower reaches is a major obstacle to fish migration. 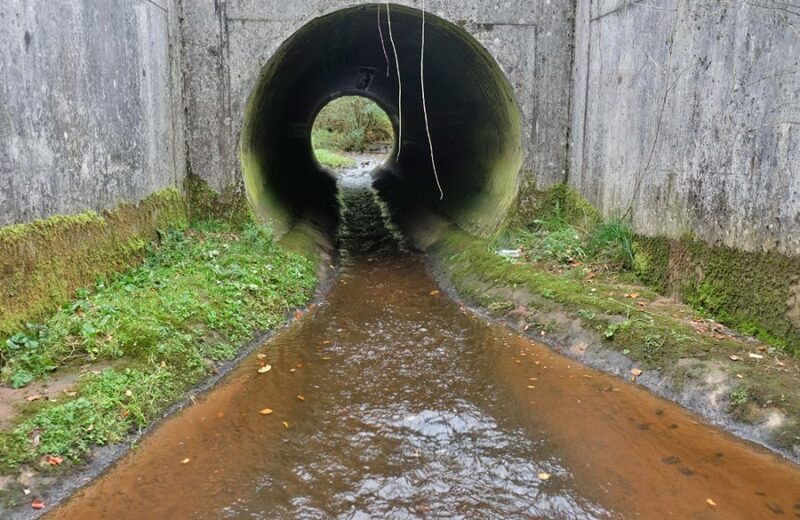 Until recently, ART weren’t too worried about this culvert as they would rather not see salmon eggs deposited and wasted in such a silty burn. However, things are improving and we know an occasional salmon makes it through the culvert into the lower burn and spawns. Improving access becomes an increasing priority when the diffuse pollution issues are being addressed. 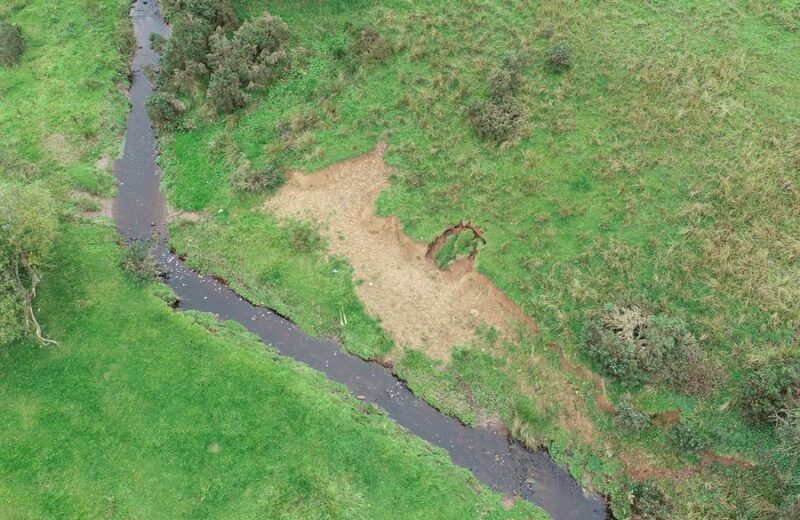 In time, with better access and improved water and habitat quality, the Bogend Burn may be restored to a productive tributary. ART managed to electrofish 4 parr from 2 year classes from the burn during their survey this week but no fry and very few trout. Cover within the site was excellent but the silt remains the limiting factor and will for some time until inputs are cut effectively. ART intends to work out how to improve fish passage through the culvert. So long as diffuse pollution improvements are maintained, we are optimistic that this burn can once again become productive. 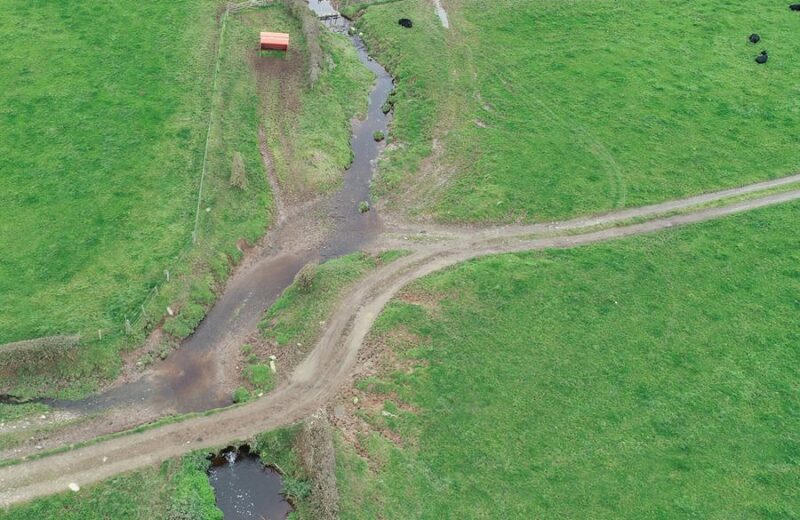 There are still several issues to resolve as can be seen in the aerial images but things have improved considerably since they stepped up the pressure on SEPA to intervene. This burn is a work in progress but through collaboration with other stakeholders, progress can and must continue to be made. 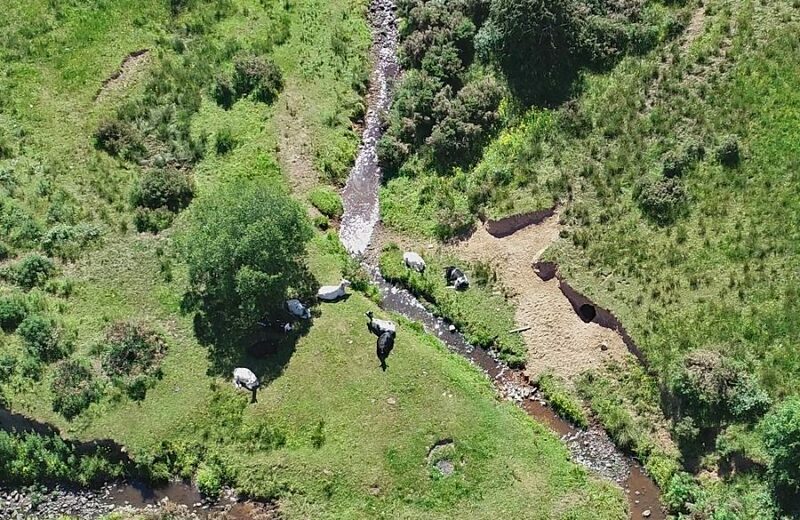 Livestock access and bankside grazing contribute to silt in this burn. While improvements have been made recently, there are still more to achieve.